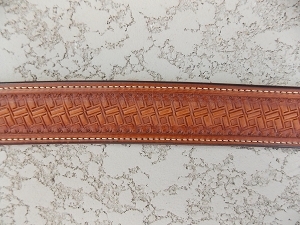 This is a nice looking waist belt measuring 1 1/4" tapered to 3/4" chestnut color fully stamped and lined. 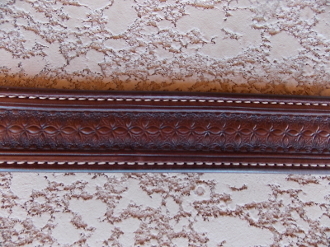 This belt will look great with any of our 3 or 4 piece buckle sets. Will fit a pants waist size of 41.